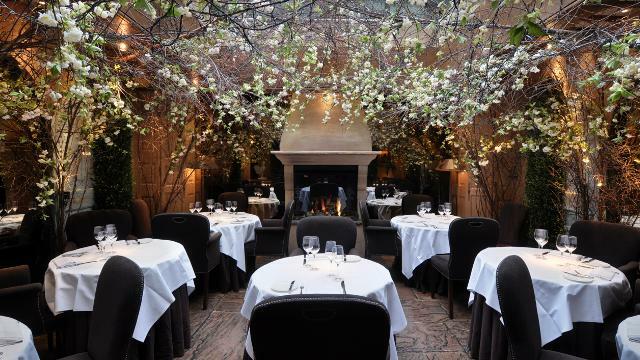 Clos Maggiore is an oasis of calm in the heart of Covent Garden. Influenced by the stylish country inns of Provence and Tuscany its unique interiors create a warmth and intimacy enjoyed by both business and private parties. The conservatory has a fully retractable glass roof creating a bright and airy dining space, particularly lovely during the spring and summer seasons. It is transformed at night by candles, starlight and a crackling fire during the winter months. Head Chef Marcellin Marc cooks sublime Provençal inspired cuisine with contemporary panache. Marcellin is committed to using locally sourced seasonal ingredients to create perfectly balanced menus which were awarded three AA-rosettes since 2008. The extensive cellar at Clos Maggiore includes over 2,000 labels. The restaurant was named London's Most Romantic Restaurant by Harden's Guide 2013. Is Clos Maggiore your business?